Swim Poll of the Week: Do You Compete In A Year-Round Sport Other Than Competitive Swimming? Swim Poll of the Week: Which Do You Prefer: Long Course or Short Course Competition? 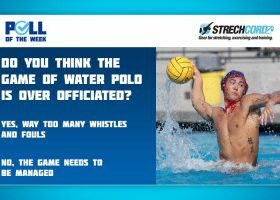 Swim Poll Of The Week: Do You Think The Game of Water Polo Is Over Officiated? Swim Poll Of The Week: Did Katie Ledecky Make Right Decision To Turn Pro? 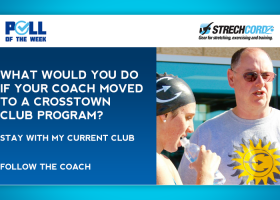 Swim Poll of the Week: What Would You Do if Your Coach Moved to a Crosstown Club Program? 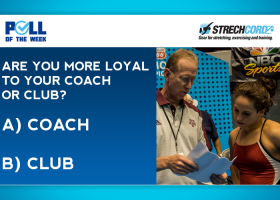 Swim Poll of the Week: Are You More Loyal to Your Coach or Club? Swim Poll of the Week: Is HS Junior Year Too Early to Commit to a College Swim Program? 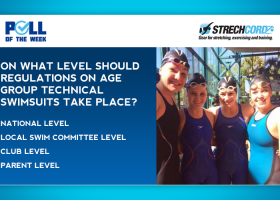 Swim Poll of the Week: On What Level Should Age Group Suit Regulations Take Place? Swim Poll of the Week: When is the Best Season for High School Swimming?